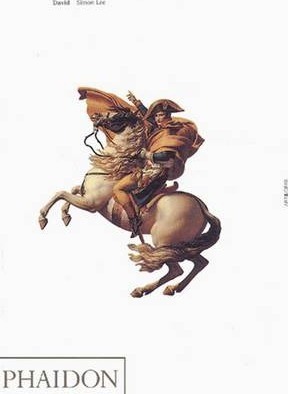 A participant in and chronicler of the French Revolution, Jacques-Louis David (1748-1825) also witnessed the rise of Napoleon, painting a series of works glorifying his reign. Simon Lee's book is the first to deal with all aspects of David's career and character and to trace his changing relationships with patrons. This is a fresh analysis with an abundance of new insight. More than any other artist, Jacques-Louis David (1748-1825) is identified with the dramatic upheaval of the French Revolution. As a liberal politician, he welcomed the promise of social change; as an artist he used his brush to glorify the Revolution's heroes and martyrs. When the political tide changed, David became Napoleon's chief painter, capturing the imperial pomp and contributing to the cult of military heroism. In this engrossing account Simon Lee argues that David was the single most important European painter of the age, perfecting a style of dramatic and noble painting that matched exactly the contemporary desire for morally elevating images. A leading exponent of what was to be termed Neoclassicism, he was, however, capable of departing considerably from its ideals of understatement and restraint. Lee's account is the first to trace all aspects of David's career, from his intellectual interests to his entrepreneurial skills and his relationships with patrons. Drawing on the most recent research, he analyses David's stylistic innovations, his political engagement, his search for new audiences, and his changing attitudes to the depiction of virtue and patriotism. Background and artistic education - Parisian and Roman beginnings; painted virtue and patriotism - success in Enlightment Paris 1781-1789; the Raphael of the sans-culottes - David and the Revolution; the enterprise of "The intervention of the Sabine Women" - prison, recovery and change; the Emperor's painter - Napoleonic panorama; declining years? - David in exile; David's legacy. Simon Lee is Senior Lecturer in the History of Art at the University of Reading.